The SYA Copperheads ended a long run with the culmination of all the boys going to college and with 18 of them playing at their respective school. 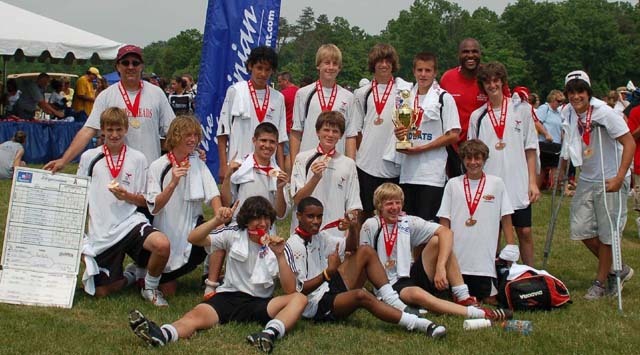 This long journey took the team from the NCSL Division 4 to the Champions of NCSL U16 Division 2, the U17 State Cup Finalist, the Champions of NCSL U19 Division 1, and the champions of multiple top college showcases and tournaments. In addition to ranking 1st in Virginia, the Copperheads were ranked as high as 23rd in the country. The Copperheads played a highly-competitive, attractive style of soccer, while encouraging creativity and self-expression. The program had a heavy focus on preparing the players to compete with top NCAA College teams in a supportive and encouraging environment. In the spring of 2010 the Copperheads also competed in the Region 1 league. Copperheads beat Virginia State Champions in the last game for the '91 team! participated in the Region 1 ODP tournament and came in second place. Moving up to Division 1 in Fall '08! Champions The Virginia Beach Columbus Day Tournament! Jared invited to ODP Regional Camp 2007 – Congratulations! Coach Mike has led his team, the Walter Johnson Boys Varsity in Bethesda, Maryland, to become the Maryland 4A State Champions for 2006! This was just his second year coaching the team. Congratulations to Ali, Jacob, Nick and Jared! Moving up to Division 3 in Spring '06! We will consider adding motivated and skilled players who can improve the team. email: iwilliams25@yahoo.com for details, if you are interested in trying out.